Auto legend Sergio Marchionne, the charismatic executive who turned Fiat and Chrysler around before combining the companies as a profitable business, died Wednesday. He was 66. "Unfortunately, what we feared has come to pass. 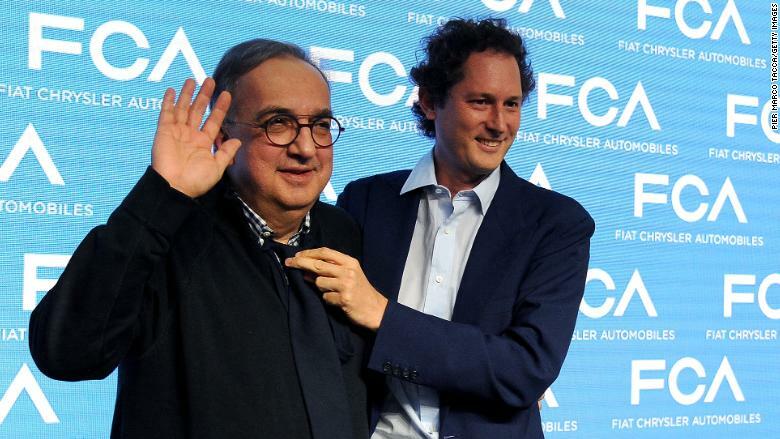 Sergio Marchionne, man and friend, is gone," John Elkann, a member of Fiat's founding Agnelli family, said in a statement. 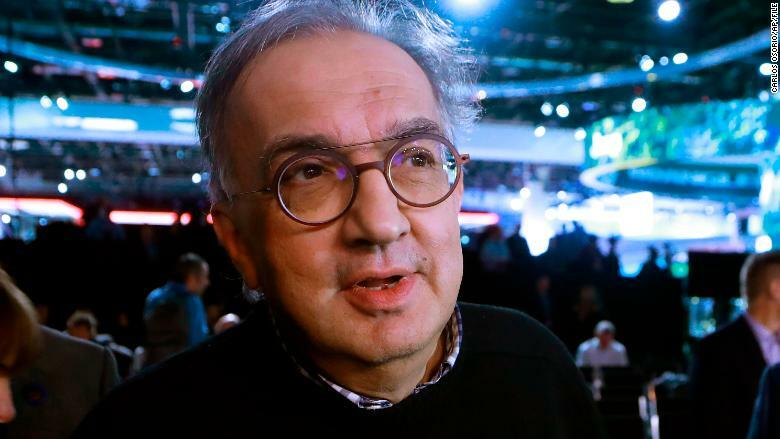 Fiat Chrysler (FCAU) (FCA) had announced Marchionne's abrupt resignation as CEO on Saturday, citing "unexpected complications" while he was recovering from surgery. Marchionne was also chief executive of Ferrari, and both FCA and Ferrari announced successors who took immediate control of the companies. Over a long career, Marchionne left an indelible mark on the industry. He was the CEO of Fiat when it bought Chrysler out of bankruptcy in 2009 following a US government bailout. The companies merged about four years ago. He was known for his witty comments, fearless decision making, trademark black sweaters and an aversion to neckties. At a conference in 2013, as Fiat and Chrysler began churning out more vehicle models, he told the press: "I've got all my production start dates tattooed in private parts, and I can tell you it's getting crowded." Related: What's next for Fiat Chrysler? Those who knew Marchionne described him as a confident leader with an incredible work ethic. He was known to juggle "four, five, six phones and lived on an airplane," Rebecca Lindland, executive analyst at Kelley Blue Book, said. "I would never bet against Marchionne," she added. Born in Chieti, Italy, on June 17, 1952, Marchionne came to the auto industry as an outsider when he left SGS S.A., a health inspection firm, to head Italian automaker Fiat in 2004. He took over after Umberto Agnelli, whose family founded Fiat in 1899, died of cancer. In Marchionne's early days at Fiat, he cut middle management jobs and reduced wages to help lessen the company's multi-billion dollar losses. About two years after Marchionne took over, Fiat turned its first profit in five years. "We spit blood to clean up and restart Fiat," he was quoted as saying by British news outlets about the turnaround. As the global auto industry was shaken by the financial crisis in the late 2000s, there was serious doubt that American icon Chrysler would survive. The firm was shepherded through bankruptcy by the Obama administration after officials initially considered allowing the company to go under. In 2009, Fiat made a deal with Chrysler that queued up Fiat to become the primary stakeholder in the American company, and Marchionne was installed as CEO. Under his leadership, the company eventually emerged as a debt-free, profitable global automaker. Marchionne defended the US government's involvement in keeping Chrysler afloat. He told CNN's Poppy Harlow in a 2011 interview that anyone who thinks Chrysler could have survived without that assistance was "smoking illegal material." He was also known to be open about his companies' failures. After the Dodge Caliber failed to catch on in the United States, Marchionne in 2012 faulted the design and called the vehicle an "abomination." In 2014, he urged customers not to buy the Fiat 500e electric car. "I hope you don't buy it because every time I sell one it costs me $14,000," he said at a Washington conference, according to Reuters. 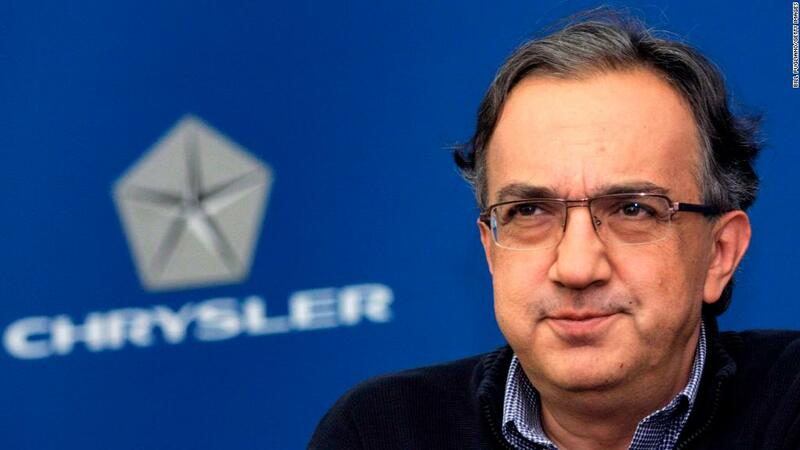 Marchionne pushed to fully merge Chrysler with Fiat, brushing aside those who said the American and Italian brands would never work as a combined company. Fiat Chrysler Automobiles was listed on the New York Stock Exchange in 2014. In 2017, FCA sold 2 million vehicles in the United States, more than double its sales in the dark days of 2009. Globally, FCA sold 4.7 million cars last year. Last month, Marchionne wore a necktie for the first time in years at a Fiat Chrysler event in Italy. He talked about the company's strong financial performance. But FCA still has some problems. The company is a distant third in US sales and 8th globally. The company has also trailed its competitors in adopting electric vehicle and self-driving technology, which many deem the industry's inevitable future. In addition to heading FCA, Marchionne served as chairman of industrial equipment firm CNH and chairman and CEO of Ferrari, which spun off from FCA years ago. In recent years, Marchionne had spoken openly of his desire to find a merger partner for Fiat Chrysler. He had been far more blunt than other auto executives about the threat to the industry that new entrants such as Google (GOOGL) posed to old-line automakers. After President Donald Trump's inauguration last year, he notably stood apart from other industry executives by insisting FCA would have invested in American manufacturing whether Trump publicly called for those investments or not. "I wish I could give [Trump] credit for this. But the thinking was in place beforehand," he said. And in 2015, during labor talks with the United Automobile Workers union, he was the first among his peers to come out against the industry's two-tier wage system as unsustainable. It had allowed automakers to pay new hires lower wages in the name of saving cash in the wake of the financial meltdown. "There can't be two classes for people who do the same work," Marchionne told reporters at the Detroit auto show in January, according to reports.